Wayne originally started with MRN in May 2016, and returned to us in March 2018 following a year working elsewhere. Bringing with him 30 years of experience, Wayne’s specialisms include Personal Injury and Clinical Negligence. 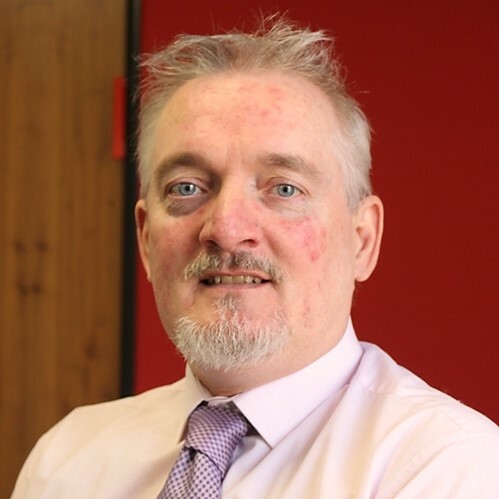 Wayne gained his first experience in costs when working with legal aid claims, assessing the Bills of Costs relating to the claims being made. This gave him a particular enthusiasm for drafting bills, as he takes pride in being able to recover costs for his clients. Since his first role Wayne has worked as an in-house costs draftsman for a number of notable law firms, and for several specialist costs firms as well. Wayne has dealt with several Crown Court cases in the past, and found the forensic aspect of this work fascinating! Most notably, Wayne drafted the costs claim for a high profile case in respect of a Crown Court matter, which ran into six figures. The case was very high profile involving a lot of media attention at the time where a farmer was protecting his property from burglars. The burglars were disturbed and fled the property, and in the midst of fleeing the scene, one of the burglars was shot and killed. Experiencing a range of cases and changes to the industry has moulded Wayne’s approaches his work, and Wayne believes that pragmatism is the key tool in gaining the best results for his clients. He also believes that the best outcomes are achieved by thorough communication, so Wayne will always make himself available for negotiation with his clients. Outside of his work, Wayne is a drummer in a bagpipe band and enjoys spending time with his sons – and more recently, his granddaughter as well!